David Munk-Nielsen was born in 1998 in Copenhagen. He started playing the piano at the age of 5. David studied for seven years with professor Anne Øland until he entered the Royal Academy of Music Aarhus in 2015, where he was studying with Søren Rastogi and Jakob Bahr as teachers. Since August 2017 David studies at the Sibelius Academy with professor Erik T. Tawaststjerna. David first appeared as soloist with orchestra when he was 13 years old touring Denmark and Ireland with North Zealand Symphony Orchestra. David played his first solo recital in Aarhus Music House when he was 15 and has since then played many solo recitals and appeared in festivals such as Copenhagen Summer Festival and Helsingborg Piano Festival. 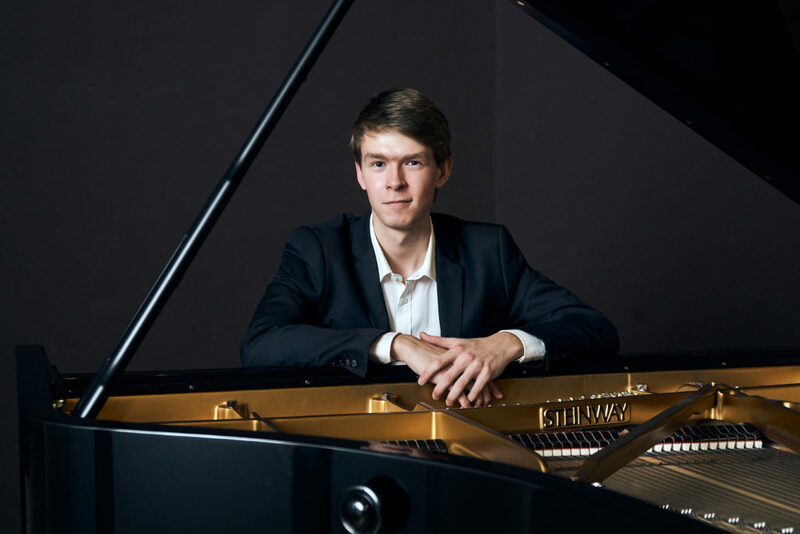 In 2010 David won 1st prize at the North Zealand Piano Festival and the following year, he participated in the international piano competition Bang & Olufsen PianoRAMA, where he was selected as the youngest among 148 young pianists from all over the world. Due to this, David appeared in Danish Radio (P2) and television (TV2). In 2015 he also received gold medal in Berling Classical Music Competition. In 2017 David participated in the 8th Nordic Piano Competition in Sweden, where he was awarded a special prize for the best interpretation. In March 2018 David participated in the International Stasys Vainiunas Competition in Lithuania, where he won the 1st prize as well as a special prize for the best performance. In February 2019 David won the grand prix award in the Helmi Vesa piano competition for all pianists at the Sibelius Academy, where he was awarded with a small-sized silver grand piano, which belonged to the finnish composer Selim Palmgren, where David’s name is carved into the piano. In March 2019, David won the 2nd prize in the Aarhus International Piano Competition as well as 2 special prizes (Carl Nielsen prize and EMCY prize). David also received the Jacob Gade Talent prize in 2015 as well as other grants.